Rio Carnival 2020 Tickets available for sale! Buy Now! Carnival Tickets + Shuttle Service. Book now your tickets for Carnival 2020! Book now your costume for Carnival 2020 and shine on Sambadrome! We offer tours and visits with guide to the major attractions in Rio and on the nearest cities. We have bilingual guides and trained professionals to offer you the best customer service you have ever. And being at the right place at the right time makes the whole difference. That's why it's so important that you buy the ticket that suits you best. We do our most to help you make this decision with confidence and security. 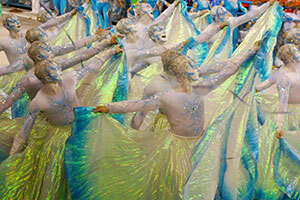 We offer tours and visits with guide to the major attractions in Rio and on the nearest cities. We have bilingual guides and trained professionals to offer you the best customer service you have ever had. What are you waiting for? New Year's Eve and Other Offers! Get a bedroom, an apartment or a house for your vacation in Rio de Janeiro! Keep in mind: an apartment costs about 50% of the daily average in a hotel per person and the great point of the apartment is that you can bring with you your group of friends or family. Looking for 2020 Rio Carnival Tickets? The main and most important venue of the Samba School parades is the Sambadrome, a wide parading avenue sided by several blocks of seats. (You'll know more about the Sambadrome soon). Choosing the best location to seat along Sambadrome, the official parade avenue, is of the utmost importance. As Schools move along the grounds they evolve, so that each seating location witnesses unique aspects of the Schools performances. As a general rule, the lowest and most upfront seats offer an involving and exhilarating experience because of their proximity to the avenue. On the other hand, the highest seats have a privileged panorama of the whole parading grounds. Participation in the parades of the samba schools in the Sambadrome, the official stage of the carioca Carnival, is a unique experience. This is the essence of Carnival in Rio de Janeiro. Being in the right place and at the right time makes all the difference. So it is important to purchase the ticket that adapts better to you. We, at CarnivalService.com, do our best to ensure that you receive every assistance to make your decision with confidence and security. 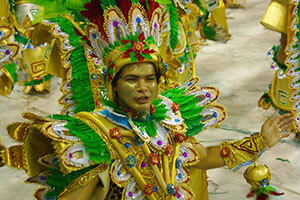 We offer you the unforgettable adventure to participate in the Rio Carnival as a member in a samba school parade. The brightness, the joy, the lights, the sound and the movement of viewers spread and delights those who parade in samba avenue. 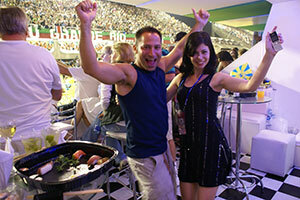 Are the best seats in the Sambadrome: the only private spaces and with the best view! Buy your tickets for Covered Boxes or Hyper Covered Boxes with us (all with regular transfer included). Our service includes a bilingual guide and round-trip transportation to the Sambadrome using the schedule that you choose. 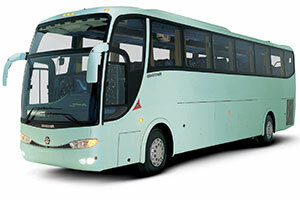 For your convenience, we pick up the passenger in his hotel at the correct time to go to the Sambadrome. We have prepared a series of tips for you to know a little more about the parades of the samba schools, mainly for those who want to parade on the Avenue with the beautiful costumes made by Samba Schools every year. Rio Carnival 2020: Promotional Packages! Welcome to Rio de Janeiro! Welcome to Pier Carioca! With the advent of the great events that will be held in the city the Rio de Janeiro has been consolidating a positive and attractive image on the world’s view. The Pier Carioca is also preparing to welcome people from several parts of the whole world offering the best hosting in the city followed by a quality service with comfort and security. The Pier Carioca is a travel, tourism and event agency totally focused on its tourist experience. We offer a wide network of services. The tourism agency Pier Carioca is located at the gateway of the “Wonderful City”. We are on the edge of Guanabara Bay, where the cruise ships arrive to join our city.